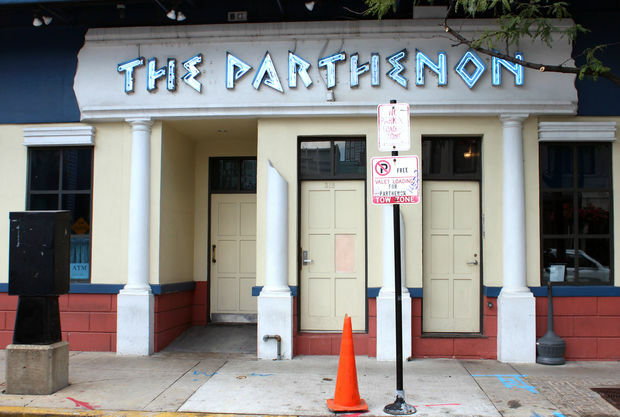 The Parthenon restaurant in Greektown has closed, 48 years after it opened. 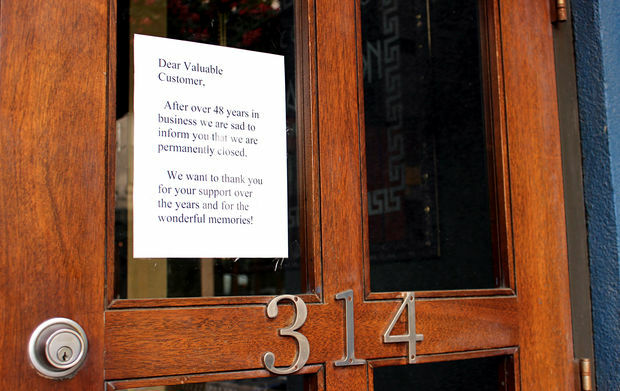 GREEKTOWN — The Parthenon, one of Greektown's most iconic restaurants, has closed after 48 years in business. A sign posted on the Greektown storefront read: “After over 48 years in business we are sad to inform you we are permanently closed. We want to thank you for your support over the years and for the wonderful memories." Joel Rieff, who manages the Parthenon Guest House above the restaurant, said in a Facebook post that the "true Chicago Icon & Landmark" was closing. "It was a Chicago destination for many generations both local and out of state," he wrote. " ... Over 48 years of serving the people, and as the The Parthenon and Acropolis are the center of Athens and Greece, so too was this restaurant — it was what Greektown was built on." After two failed health inspections, The Parthenon was shut down by the city at the end of March but later reopened. More recently, the restaurant gave no indication it was shutting down while serving food from a booth during the annual Taste of Greektown the weekend of Aug. 26-28. The restaurant at 314 S. Halsted St. opened in 1968 by brothers Bill and Chris Liakouras. The Parthenon earned $110 on its first day, the restaurant's website says. Three years later, the brothers bought the building next door and expanded the restaurant. The restaurant is widely credited as having invented the Greektown tradition of serving tableside flaming saganaki, according to the restaurant's website. Before it closed, the Parthenon routinely served weekend crowds of more than 1,000 customers, said owner Chris Liakouras. Chris Liakouras could not be reached Wednesday. In a phone interview, his wife, Lorraine Rief-Liakouras, declined to comment, but said that she was fielding "a lot of calls" from longtime customers. 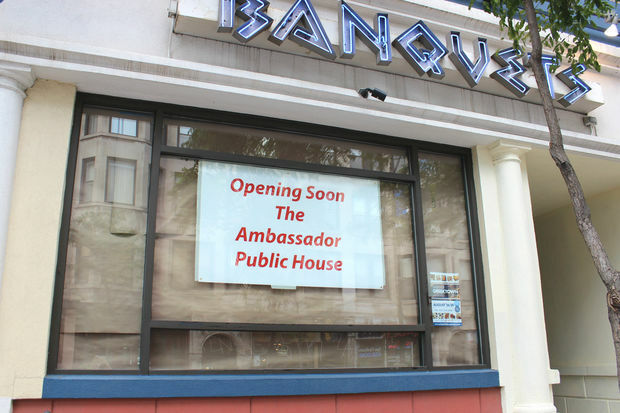 In March, Parthenon owners opened Aviva, a Mediterranean restaurant, in The Parthenon's former banquet room at 310 S. Halsted St. Aviva has since closed, and owner Lorraine Rief-Liakouras, Liakouras' wife, now plans to open sports bar The Ambassador Public House at the location. While Rief-Liakouras declined to address the closing of the Parthenon or future plans for the space, she said Wednesday that the new sports bar next door would show many major European soccer games. The bar will open in mid- to late-October, she said. Eater Chicago was first to report the news of the restaurant's closure Wednesday.